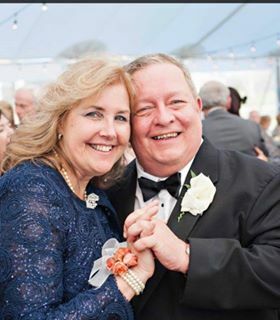 OLD BRIDGE, NJ--Joseph “Joe” F. Schneider II, age 67, passed away peacefully in his home in Old Bridge, NJ, on Sunday, February 17, 2019. He was born on November 6, 1951, in Brooklyn to parents Joseph and Jean Schneider. He grew up in the Cobble Hill neighborhood of Brooklyn before moving to Staten Island, where he graduated from high school. 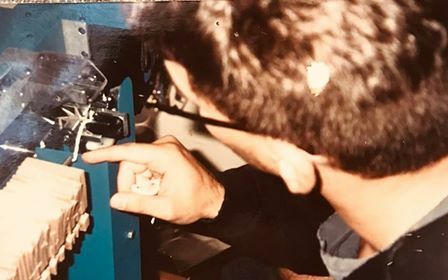 Joe completed his BA in English Literature from SUNY Cortland, then moved to Miami, where he achieved his Master’s and ABD PhD in English with a concentration in Irish Literature from the University of Miami. While on a trip to Dublin, Ireland, he met the love of his life, Mary, who was also from Staten Island. The two married and moved to New Jersey, where they raised daughters Danielle, Kathleen and Mary Theresa Stoddard. While raising his family and working a full-time job, Joe completed his JD from the Fordham University School of Law, which he applied in his work as an editor of law books. Joe was a voracious reader and life-long learner with a powerful love of music – both classical and contemporary. 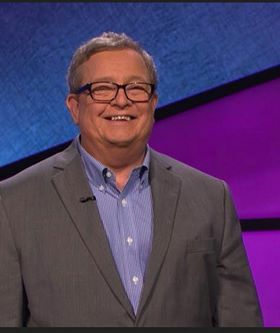 His great knowledge through reading led him to being a contestant on Jeopardy! Later in life, he found his peace in Zen Buddhism and practiced zazen (meditation) daily, becoming an active member of Cold Mountain Zen sangha where he will henceforth be ordained a Zen Priest. Joe was known to all as a kind, bright soul and a life-long animal lover. Joseph was predeceased by his mother, Jean, who passed away in 2009. He is survived by his wife, Mary Theresa; his father, Joseph Schneider; his three daughters, Danielle, Kathleen, and Mary; his four brothers, Dennis, John, William, and Thomas; his son-in-law, Sean; and his beloved cat, Tilly and grand-cat, Belle. Family, friends, and others whose lives were touched by Joseph are invited to Old Bridge Funeral Home on Route 516 to express their condolences on Thursday, February 21, from 2-4 p.m. and 7-9 p.m. A Zen Buddhist funeral service will take place at the same location on Friday, February 22, at 10 a.m. In lieu of flowers, the family requests donations to the Lakota Wolf Preserve, the Cystic Fibrosis Foundation Greater New York Chapter – Manhattan, or Joe’s sangha, Cold Mountain Zen. MANHATTAN, N.Y.—Santhigram Wellness Kerala Ayurveda to Launch its Premier Ayurvedic Wellness Therapy Center at Manhattan ( 30th East, 40th Street, New York City) on October 4th, 2018. Santhigram Wellness - Kerala Ayurveda - with centers here in New Jersey and throughout the United States, UK and in New Delhi, India, is a comprehensive authentic Kerala Ayurveda practice which offers Ayurvedic consultations, wellness therapies, management strategies for one’s health issues, and even beauty therapies. 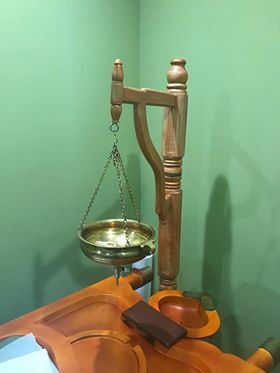 The mission of Santhigram is to advocate and propagate the holistic science of Ayurveda within a system of healthcare and wellness, therefore making it part of the mainstream health and wellness option in the USA and the World. The opening of the mid-town Manhattan Center, in the heart of the Financial Capital, is soon to be followed by their first Center on the West Coast in Fremont, California in November 2018. With the on-boarding of the two new Centers, Santhigram will be on course with its expansion plans for this year and will have further enhanced its position as the Premier and National Ayurveda Company in the USA to offer its specialized services and therapies to a good section of the population with holistic, non-invasive, and drug free therapies. Santhigram Kerala Ayurveda is a pioneer in the Kerala Specific Ayurvedic and Panchakarma Therapies to alleviate various ailments. Additionally, Santhigram provides specialized proprietary treatments for the management of chronic health problems related to stress and depression, muscular-skeletal disorders, life style disorders, and Rehabilitative care for Geriatric clients. Santhigram's Chief Consultant, Dr. Ambika Nair, respected world-wide in Ayurveda and co-host of the health and wellness television program on TV Asia, "AYURVEDAMANTRA ", will be available for Consultation at the Manhattan Center on an appointment basis. Dr. Gopinathan Nair, Founder, President and CEO of the company, is very optimistic and excited about the company’s upcoming launch of the Ayurveda Wellness Center in the heart of New York City, where the demand for Yoga and Ayurvedic therapies are very high among the targeted demographic profile the company plans to address. 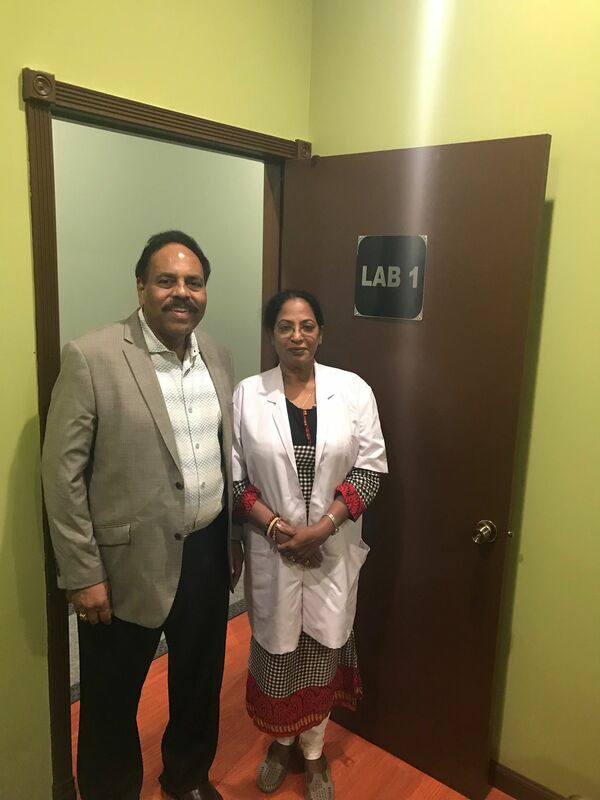 “Ayurveda Wellness Regimes at Santhigram can be of much value for those clients in New York City experiencing office fatigue syndrome and stress due to fast paced executive work and life styles,” interjected Dr. Gopinathan during a recent interview. In addition to the two new centers in New York City and Fremont, California, Santhigram, in its second decade, has ambitious plans to open another 100 Centers in all the major metropolitan hubs of the nation, along with Ayurvedic wellness villages in partnership with the Native American Indian Communities. “We wish to take this opportunity to welcome and express our gratitude to all our patrons on this wonderful of occasions and look forward to your continued support and patronage and request you to await regular updates as we make progress,” stated Dr. G. Nair. 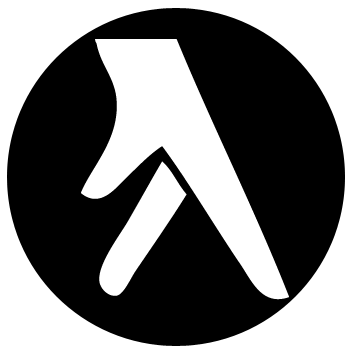 Taken from Sanskrit, Ayur means life and longevity, and Veda means knowledge or science. Ayurveda Wellness is about balance, living in a natural and harmonious state. Practiced for more than 5000 years, Ayurveda is the traditional natural healing system of India. Santhigram is committed to helping people become aware of and embrace Ayurvedic And Holistic Medicine and therapies in order to promote balance of body, mind and soul. Ayurvedic therapies are non-invasive and are most helpful to those suffering from many different health issues including but not limited to allergies of all kinds, autoimmune diseases, Lyme’s Disease, arthritis, stress and anxiety related issues, skin problems, sleep disorders and skeletal- muscular back and or neck pain without the use of pain medication. Dr. Gopinathan Nair discussed with our www.NYnewsyork.com and www.NJnewsjersey.com reporters how our bodies accumulate toxins due to food habits, life style, and environment. It is important to detoxify our bodies through an Ayurvedic detoxification process known as Panchakarma. Panchakarma consists of five cleansing type treatments which will eliminate many of the toxins in our bodies. While Panchakarma is prominent in the culture of India, Dr. Nair expressed how he saw the need more and more for Holistic, Ayurvedic and Panchakarma here in the United States. Dr. Ambika Nair, highly regarded Holistic Physician as well as Chief Consultant, is following in the footsteps of her father, an Ayurvedic physician in Kerala, India. Dr. Ambika has a wealth of training, degrees and certifications as well as over 25 years of experience in the areas of Homeopathy, Ayurveda, Bach Flower Remedies, Siddha, Naturopathy and Yoga. In India, Dr. Nair was physician to the former President of India, Dr. K.R. Narayanan. Dr. Ambika Nair explained to the www.NJnewjersey.com reporter that she can tell much about a person’s health by monitoring the pulse. Your pulse is the signal of life in your body and Dr. Nair, by taking a “pulse reading”, or Nadi Pariksha , can ascertain certain detailed information about a person’s mental and physical health. Once Dr. Nair makes her comprehensive diagnosis, she will recommend what preventive steps and courses of action are to be taken, which could include various Ayurvedic treatments, yoga and exercise, herbal supplements and essential oils, massage and body work therapy and more. Treatments can vary accordingly and also can compliment traditional Western medical therapies. 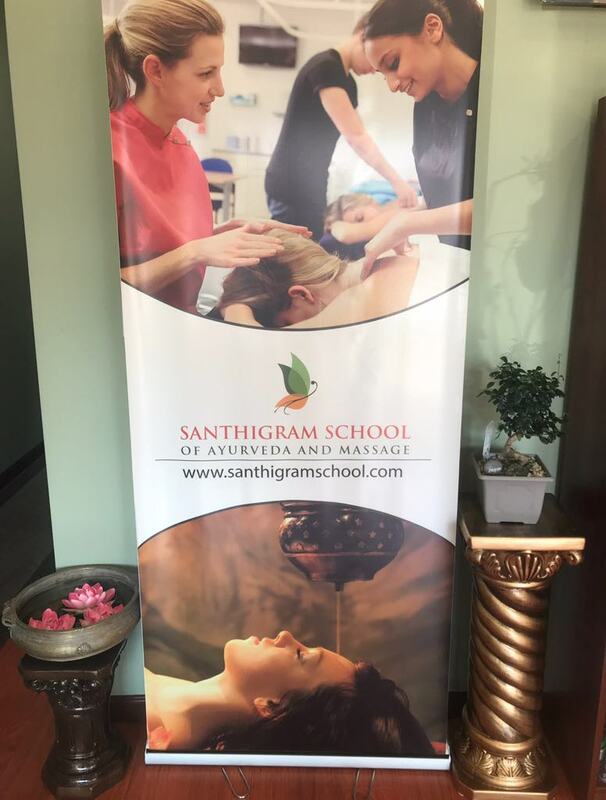 Not only does Santhigram Wellness offer Holistic and Ayurvedic diagnostics and comprehensive treatments, but in addition the Santhigram Wellness Centers house The Santhigram School of Ayurveda and Massage. 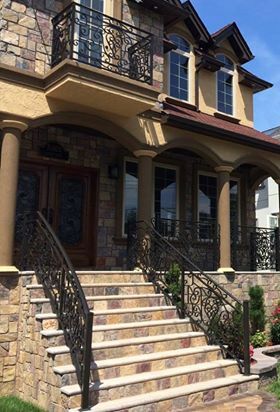 The school offers a 500 hour massage and body work program which incorporates coursework in Ayurveda leading students to obtain their NJ License in Massage Therapy. Medical practitioners such as Occupational and or Physical Therapists as well as traditional health and or nutritional coaches should consider taking classes at the school in order to enhance their own knowledge and add value to their own practices. Please Join Us!!! October 4, 2018 Santhigram Wellness will be opening their newest center on 30 East 40th Street in NYC. Join Dr. Gopinathan Nair and Dr. Ambika Nair and their highly trained staff at the grand opening to learn more about alleviating health issues successfully without pharmaceutical or invasive treatments and no side effects. CEO WARRIOR CO-FOUNDERS MIKE AGUGLIARO AND ROB ZADOTTI ARE NEW JERSEY SUCCESS STORY THEMSELVES. TIM GROVER PERFORMANCE COACH FOR MICHAEL JORDAN WILL BE GUEST SPEAKER AT EVENT!!! INTHETREETOP BOUTIQUE TRENDY AND FASHIONABLE WOMAN'S AND CHILDREN'S CLOTHING!!! LEEAT GVILI ASKS "PLEASE JOIN OUR FACEBOOK PAGE OVER 40,000 FOLLOWERS"
KAREN SCARPA ARRAO "LIVE HEALTHY WITH KAREN" TAKING THE FIRST STEPS TO A HAPPIER, HEALTHIER, LIFESTYLE!! !